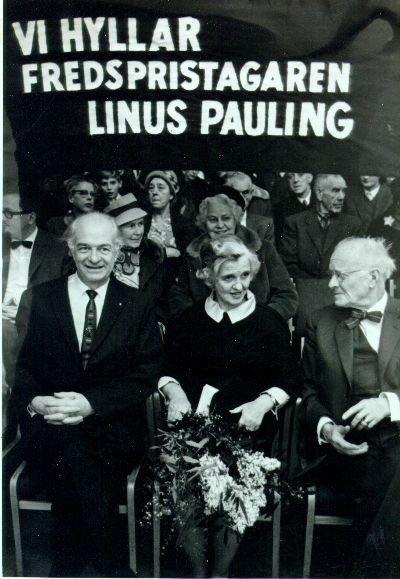 Linus and Ava Helen Pauling with sign "Vi Hyllar Fredspristagaren Linus Pauling." Gothenburg, Sweden. 1963. Picture Larger Images / More Information.